Beaten Zone. This is the pattern formed by the rounds within the cone of fire striking the ground or the target. The size and shape of the beaten zone changes when the range to the target changes or when the machinegun is fired into different types of terrain. 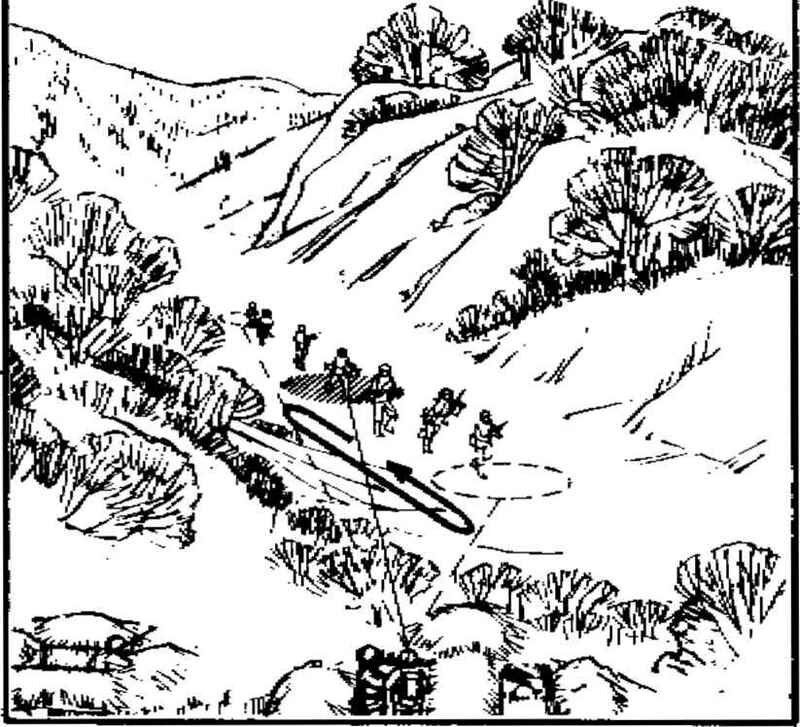 On uniformly sloping or level terrain, the beaten zone is long and narrow. As the range to the target increases, the beaten zone becomes shorter and wider. When fire is delivered into terrain sloping down and away from the gun, the beaten zone becomes longer. When fire is delivered into rising terrain, the beaten zone becomes shorter. The terrain has no great effect on the width of the beaten zone. 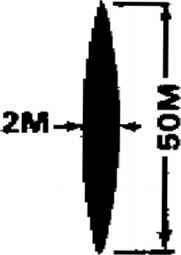 Danger Space, This is the space between the gun and the target where the trajectory does not rise above 1.8 meters (the average height of a standing soldier). This includes the area of the beaten zone. When a machinegun (on its bipod or tripod mount) is fired over level or uniformly sloping terrain at a target less than 700 meters away, the trajectory will not rise above the average height of a standing soldier. When engaging targets over level or uniformly sloping terrain at ranges greater than 700 meters, the trajectory will rise above the average height of a standing soldier. What is the beating zone of a m60? What is the beaten zone machine gun fires?